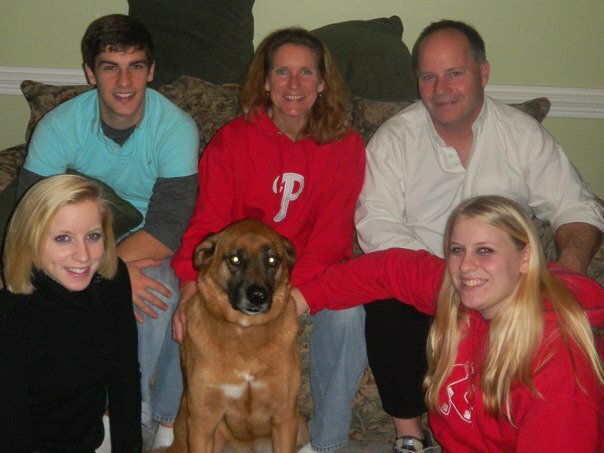 This is the most recent family photo I have… from 2010. I guess we’ll have to take a new one this weekend at the Cole Family Reunion! It’s Tuesday! Do you know what that means? It’s time for another “Ask Br. Casey” video. This week our question comes from an actual viewer (who did what I asked and left a question in the comments like all of you will do this week… right?) His question has to do with family: Are you allowed to visit your family? It’s a great question and one of the most popular among discerning men. They read passages like Matthew 8:21-22 in which Jesus tells a man to forget about burying his father and instead follow him, or about Francis of Assisi who renounced his family so to be completely dependent on God. If I join the friars, do I have to renounce my family too? For some Orders, particularly monastic ones, this is in fact the case. They live very enclosed lives and are never able to take vacation or visit their families. That is simply not the case for us, though. While the first passage from scripture definitely focused on the urgency of following Jesus, not allowing ourselves to be bogged down by the practical matters of this world, it must be balanced with another passage a few chapters later: just because someone has been consecrated to the Temple does not mean that s/he renounces all responsibility of honoring father and mother (Matthew 15:1-9). In the same way, we do not enter religious life to run from our families or to free us from unwanted responsibility. We do so for love of our new family, one that has Christ as the head and adopts many others as our brothers. In this way, then, we must balance the new family we have chosen with the old family we have been given. Just as with a married person, we would not run home to our biological family every time we didn’t have work, abandoning our spouses and children. That’s absurd. The same is true in the friary. Just because it’s a three-day weekend doesn’t mean we can all scatter, leaving behind those who do not have or are unable to return to their biological families. Like a married person, we must continue to support our biological families, visit them as frequently as we can, and encourage them to get to know our fraternity, but in a way that it upholds, rather than detracts, from the life of the fraternity. In short, yes, we are absolutely free (and even required) to visit our families from time to time, but must also learn to see our brothers in the fraternity as a family worthy of our time. There’s not much more to the video than what I’ve written here, but I figured I’d give readers of the blog the option to read or to watch as they are very different mediums. I hope you enjoy and be sure to ask your own questions below! Very thoughtful and sincere response; as a former friar I wish then that I had your insights. Thank you for your reply. I believe the special Charism of the Franciscans is so deeply important and the root of all we do. I have been following your blog since its inception and I believe that you are doing so much to share the Spirit and Love of St. Francis with every click and every video. I will continue to pray for you and your important work, which I know at times must be pressing, but you are reaching the hearts of so many.